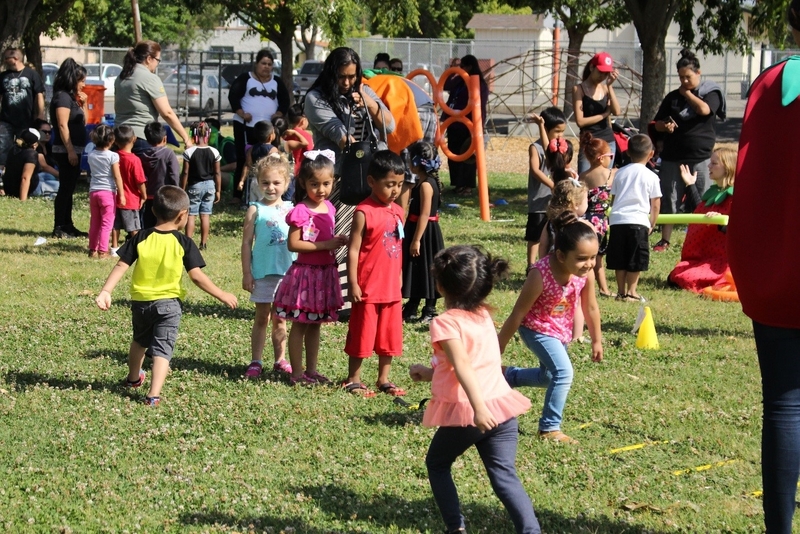 Healthy food and fun physical activity was on the menu for Anthony preschool students and their families. 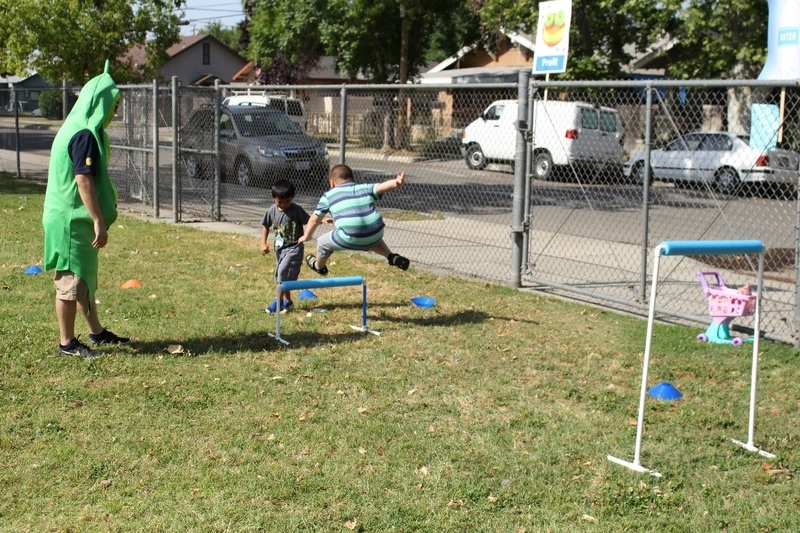 Mrs. Ojeda's AM and PM classes joined together with the UC CalFresh Nutrition Education team for a morning of exercise through the MyPlate Obstacle Course on May 10th. Students gained reinforcement of the messages they have learned all year about the MyPlate model and shared that knowledge with their families. 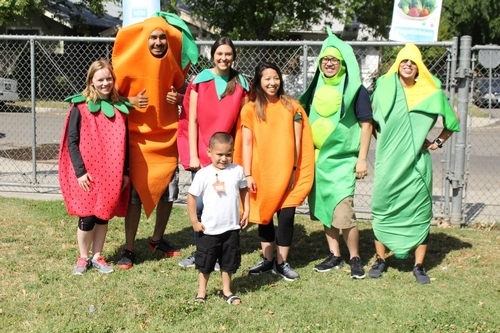 Everyone worked together through 6 stations, such as the Fruit Hoops Bean Bag Toss, the Dairy Dunes Hurdles, and the Vegetable Vertical Climbers, to name a few. 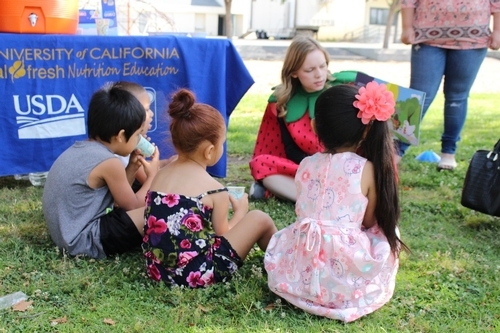 Connecting physical activity to the classroom messages about the importance of MyPlate gave these preschoolers a memorable and fun experience that was shared with their parents and younger siblings. 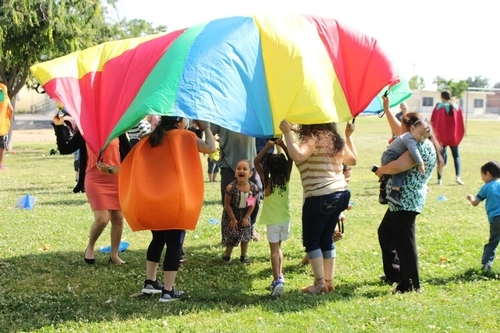 Mrs. Ojeda stated that everyone was so excited for this event that parents brought healthy snacks for a healthy party in the classroom after the obstacle course. The UC CalFresh Fruits and Vegetables were the local celebrities on campus as many preschoolers wanted their individual photo taken with them! UC CalFresh Nutrition Educator, Hannah Lee, takes a water break with her group at the Hydration Station, where she reads them a story about the importance of drinking water. The Whole Grain Hops had students practicing their motor skills. The Dairy Dunes Hurdles had students jumping for joy! Parents and students build muscle with the Protein Parachute! Anthony Preschool families gather for a group photo after a morning of physical activity before heading into the classroom to share some healthy snacks! 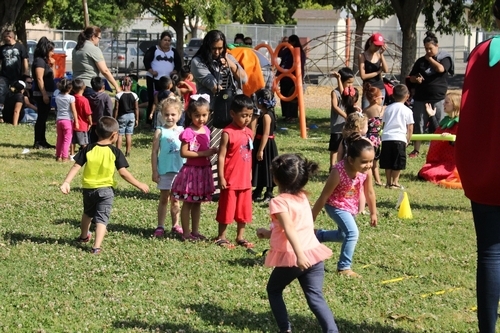 This event provided families with first-hand experience on how simple exercises done together can not only be fun, but instill positive exercise habits for their young students. 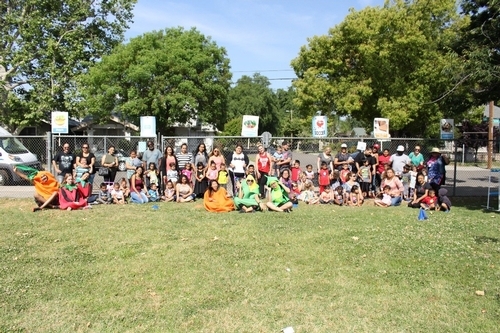 Mrs. Ojeda's wish is to make this a yearly event for her preschoolers and possibly for all preschoolers throughout Fresno Unified School District. Post is really good , i like this type of post . I also appreciate that hole family needs exercise , Its halthier .